Vir Sanghvi, as we all know is an Indian Print and television Journalist, Columnist and Talk Show Host. He is a true inspiration to many Foodaholics, in the country, like me. 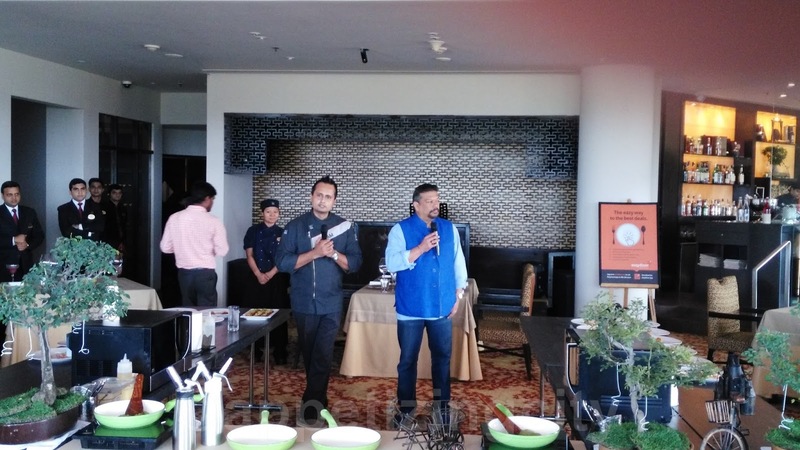 EazyDiner, organized High Tea with Vir Sanghvi at Tian, an Asian Cuisine Studio, ITC Maurya. The opportunity of meeting Vir Sanghvi and Star Head Chef at Tian, Vikramjit Roy, in person, was large and rare. 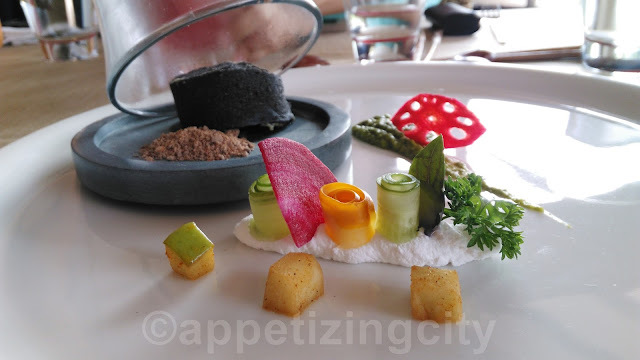 We (contest winners) were all seated around a Live Kitchen Setting at Tian. Vir Sanghvi started with addressing the crowd and soon introduced the Head Chef of Tian, Vikramjit Roy. Chef Vikram with the help of his Team, narrated details about the dishes that would be served and about his journey. 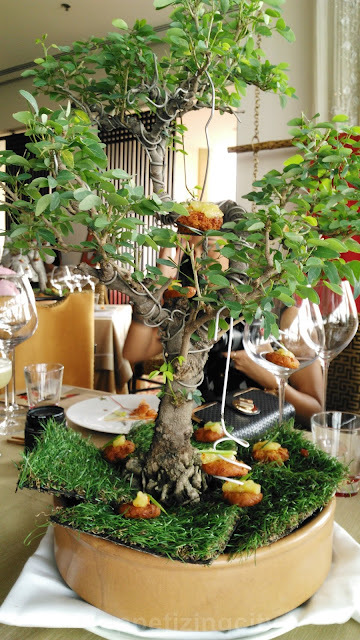 As you can see in the above picture there are artificial little trees kept on either side of the Live Kitchen Setting. Each of these pots were then placed on our tables. Yes! You read correctly. Fish & Corn was what was hanging to the branches of the tree. Amazing and Creative, right? Taco made of beetroot filled with chunks of pulled pork. A tube was infused in the taco, which contained tomato sauce. We were told to squeeze the tomato sauce into the taco and gulp it one bite. The pork was very soft and fresh. I enjoyed eating this so much that I stretched myself for another one. Soft scallop covered with an inverted jar of smoke served with a fermented soya bean paste called Miso. As soon as you pull out the inverted glass, smoke escapes and leaves a smell similar to fresh wood. The scallops were extremely soft and flawless. Inside the rice bun burger was sweet potato and crab stuffed flattened patty. This was loved and rated the highest when Vir Sanghvi asked us all to give our feedback. 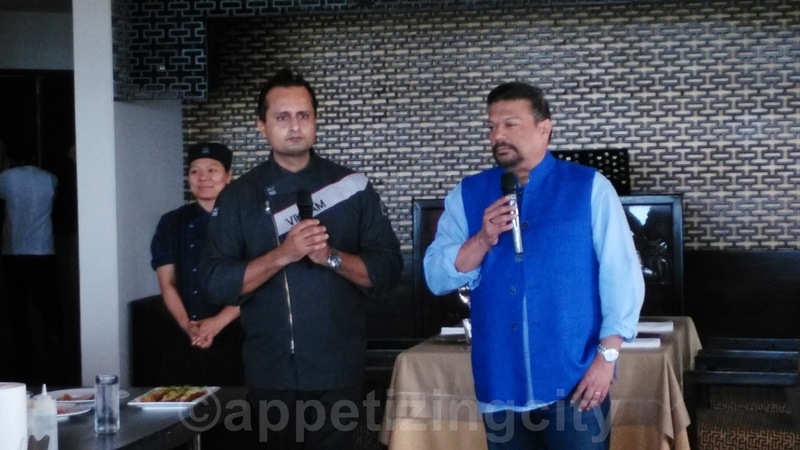 Cheers to Chef Vikramjit Roy. 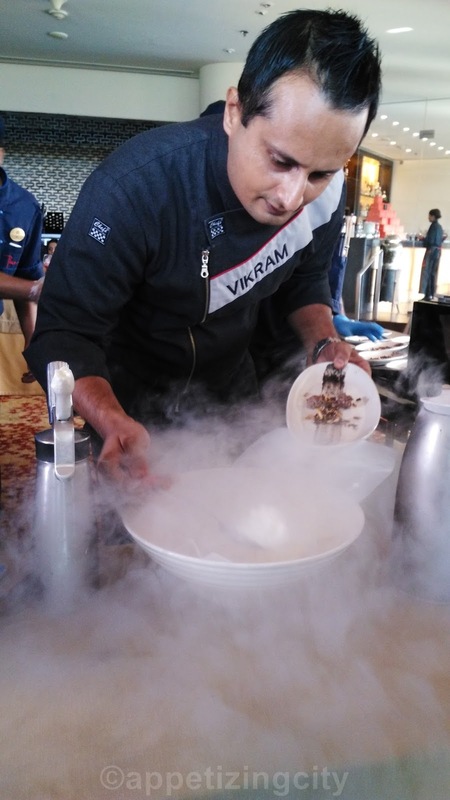 With the Dessert section, Chef Vikramjit used liquid nitrogen. 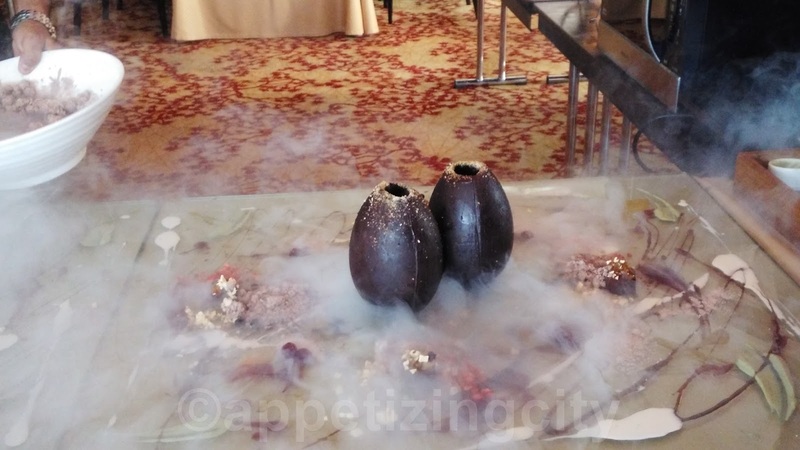 To depict the clouds, he poured liquid nitrogen over white chocolate which then formed ice cream. 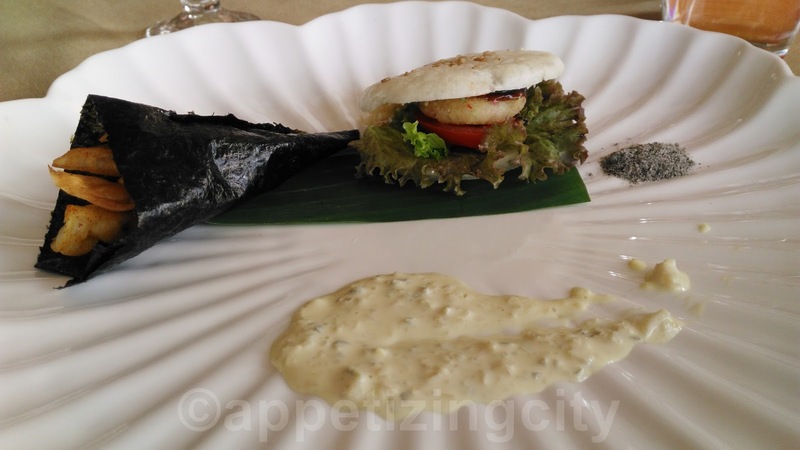 Served with some chocolate coated rice puffs and chocolate sauce, this was a complete melt in the mouth. Only when you experience this, will you believe. A Tian's speciality and the star of the event. One two huge glass plates spread an amalgamation of flavors. 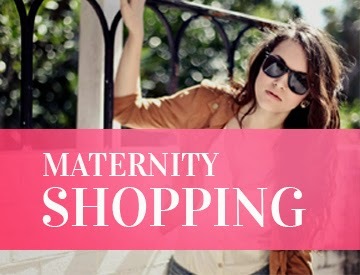 From mango, strawberry, chocolate, blue-berry, ras-berry, mint to marshmallow. 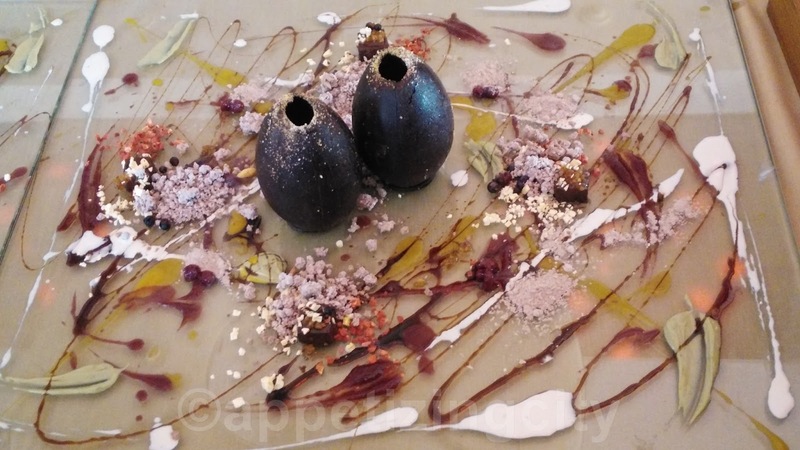 Two huge chocolate in the shape of coconuts were asked to be held by foodies and dropped onto to the glass plates. 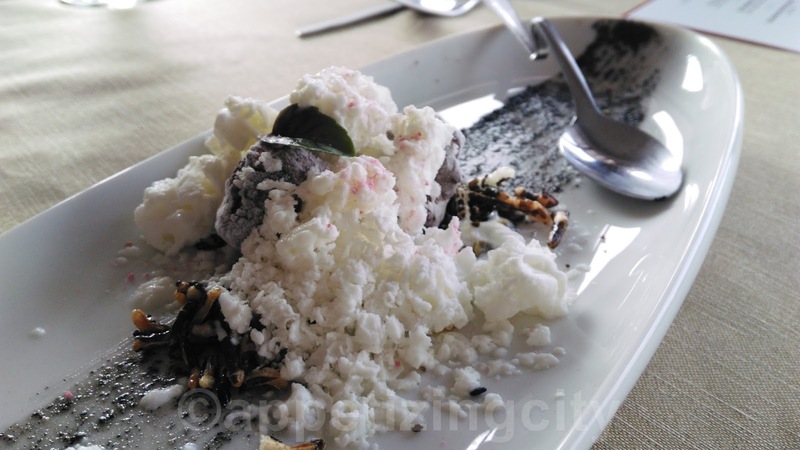 This made the coconut shaped chocolate to break into pieces. 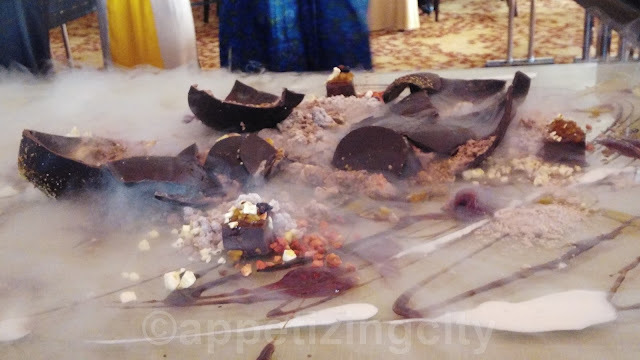 Liquid nitrogen was then poured onto this amalgamation. And believe me, it looked beautiful! I am sure you now understand what Eat off your table means. The minute Chef said, 'Come and eat this,' we grabbed our spots with our spoons. Overall, it was a spectacular event for me. 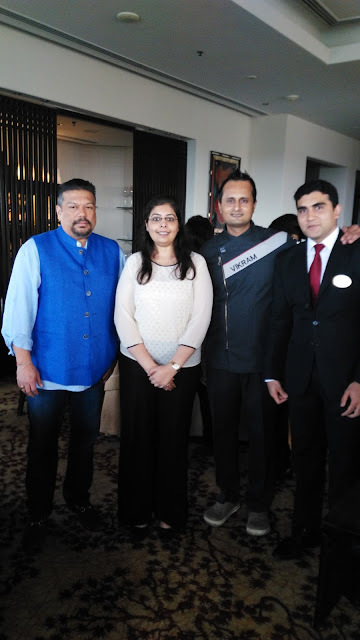 An honor to meet Vir Sanghvi in person and the Head Chef at Tian, ITC Maurya, who showcased his creative and beautiful ideas. This will create a buzz and influence the industry. 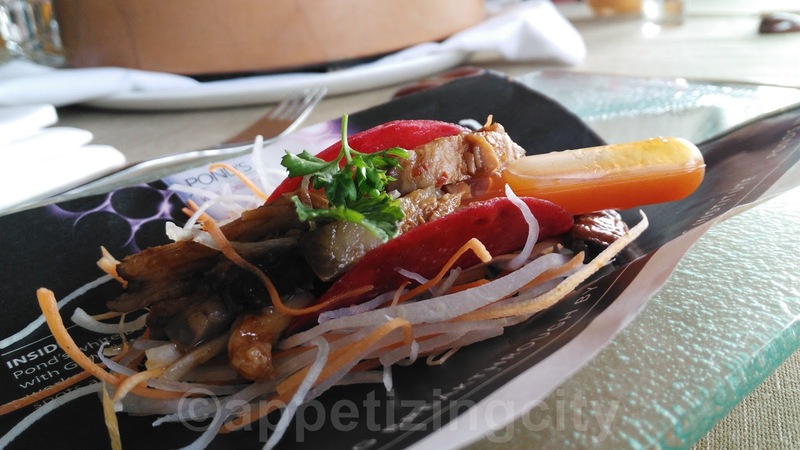 Thank you EazyDiner for selecting and giving me an unforgettable experience.